Islam Karimov, either watching somebody get boiled or feeling wistful for the last time he watched someone get boiled. Uzbekistan is one of the former Soviet Central Asian republics but not the good one, which is obviously Turkmenistan (still waiting on that payment, you guys), although Uzbekistan is the birthplace of Timur-i Lang, one of my favorite historical figures. 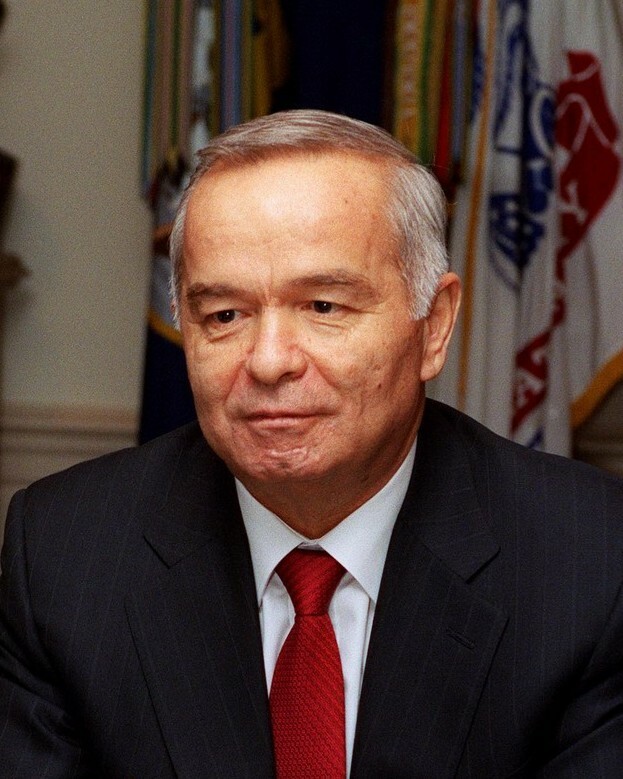 Uzbekistan is ruled by a fellow named Islam Karimov, a sprightly 75-year old who enjoys long walks, curling up with a good book, massacring protesters, building model trains, and torturing political prisoners before boiling them to death (although he seems to have transitioned to freezing them instead, so, progress). Islam is the first and, turns out, only president in Uzbekistan’s history and, hey, even though he should have left office after his term limited second term ended in 2007, how can a guy just up and quit on his people when they love* him so much that they re-elected** him to an unconstitutional third term with over 90% of the vote***? It’s been widely thought for some reason that, once Islam finally shuffles off this plane of existence, he’ll be succeeded by his daughter, Gulnara Karimova. Before you get excited at the prospect of a new female world leader, it’s important to realize that Karimova is not so much like Sirimavo Bandaranaike or Golda Meir as she is like Paris Hilton, if Paris Hilton’s dad ran a country instead of a hotel chain. Some folks blaze trails, others loot half a billion or so from their country’s treasury and then get their dad to appoint them as their country’s UN Ambassador so they have an excuse to be in America and Europe all the time, pretending to be a fashion designer/pop star. Murky news trickling out of the capital, Tashkent, points to a campaign against the president’s eldest daughter, Gulnara Karimova, whose omnipresence, suspect business dealings, and impunity earned her the sobriquet of “the single most hated person in the country” in a 2007 State Department cable published by Wikileaks. Long expected to succeed her ailing father, Islam Karimov, 75, who has ruled the country since 1989, Karimova is now embroiled in a clandestine flurry of backstabbing and skullduggery worthy of Game of Thrones. Last week, Uzbek authorities announced that Fund Forum, a charitable organization Karimova established nationwide as an apparent independent power base, is under investigation for tax evasion. Then her television and radio stations mysteriously disappeared from the air. Opposition websites that frequently publish damning reports about her were briefly unblocked. And on Wednesday, her media holding company’s bank accounts were frozen, Radio Free Europe reported. Gulnara Karimova, the sister who just steals lots of money from the treasury, not the one who’s been turned by witches. Then, in September, Karimova’s younger sister Lola gave a rare interview to the BBC Uzbek service, where she said she had not spoken to Gulnara in 12 years and viewed her elder sister’s succession chances as “slim.” Karimova responded by accusing Lola of being “friends with sorcerers” and trying to bedazzle their mother with the help of witches, a popular folk superstition in Uzbekistan. I think we can all agree that, somewhere in this great land of ours, somebody’s working on the “Barack Obama is a Warlock” story, can’t we? But in all honesty, once the witches show up you’re probably in for a long and very weird succession fight, so good luck to both sides and deep sympathies to the Uzbek people themselves, who get to bear the brunt of this stuff.